Turntablism evolved. 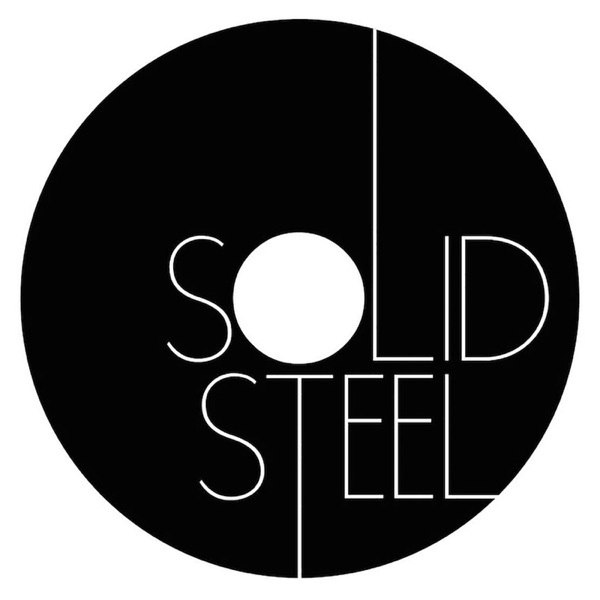 If you haven't watched a vid podcast from Solid Steel, they're equally as brilliant! Been listening to Ninja Tune since day one & they never do ya wrong! Easily the best music I've ever heard in my 29 years. I've been listening to this podcast/station for about 8 years now. All the ninjas take turns on the decks and bring in special guests and it just gets better and better with every new episode. The best part is there's no genre prejudice and everything is fair game. From new school bangers to old school funk. Words cannot do this show justice. This is music that needs to be heard and deserves not to be forgotten. Not that many labels that been supplying a steady stream of quality or over 20 years and not selling themselves or the music out! I've been collecting the solid steel show for years now and to this day they always figure out some way to amaze me. Go ninja keep on cutting up the records like a samurai! Solid Steel - the best underground project! Best podcast on the planet! Coming from a promoter of festivals, this station has no equal! The best beats mixed just the way I like em. Thanks for introducing me to all the music I never knew about! Awesome. Simply awesome. Solid Steel is probably the best radio show in the world. The podcast is a nice introduction, but it only updates occasionally and only drops an hour of the show. They need to start podcasting the entire two hours every week for listeners worldwide. For now, at least we have totally radio and the mixing bowl. The venerable Tough Junkie turned me on to this podcast. GREAT STUFF! Awesome podcast - just found this one and am listening to it all day , some great blasts from the past - vintage stuff rocks..amazing selection of late eighties early nineties house etc. Stop reading reviews and subscribe, you senseless twits! Great podcast filled with a broad range of music, interviews, and just awesomeness! I look forward and rock out to each episode. Keep bringing us the goodness DK! im lovin #64 and #57. im making my way down. what should i look out for? always lovin the spankrock. gotta love the philly music scene. About 5 years ago i had the pleasure of going on a a north american tour with Kevin, and a ninjatue posse. For 2 months i got to enjoy thier music and selections firsthand -- theres a family that loves listening to the same things that u do and theses guys spin it every friday i really cant think of any thing hipper than these cats --- except Mr gilles peterson. Dont sleep --- subscribe! ITUNES ? APPLE PLEASE INCLD A WEEKLY TRACK LIST!!!! Come on guys, lets get the full two hours. Ninja Tune continues to lap the field. This is fantastic. Ninja Tune is fabulous. Thank You!!! No more having to rip the streams! But why only an hour? Either way, it was a nice surprise finding this here. Finally! Now we just need the full two hours! I have been listening to this radio show for years through crappy computer speakers, and buying every release they have blessed us with. I was psyched when I found out that they had begun releasing this on podcast, and every week I get an hour long sick DJ set from some of the most talented artists around....AND ITS FREE! Now we just need them to release the full two hour show each week.